Thanks to advances in telecommunications, businesses are able to communicate with clients the much more effective and timely matter. Deals and contracts can be instantly transmitted through email and responses can be just as quick. All of this has created offices that work very efficiently and very fast when it comes to completing projects and servicing clients. When it comes to outside vendors, you should expect the same type of fast service. That is especially true when it comes to office furniture removal. You shouldn’t be kept waiting to get rid of rubbish items that are taking up valuable space around your working environment. When you hire Junk King Monterey for this task, you’ll find that they work efficiently and swiftly to solve your office furniture and equipment removal needs. Clearing out your office of unwanted items doesn’t have to be limited to desks and chairs. They might be a lot of old office equipment that you been holding onto for years. When new generations of computers, printers and copiers are released the previous models become obsolete. It is hard to sell something to another business if that item is a “step backwards.” You also can’t toss something like a copier into a dumpster. This is considered e-waste and has to be handled the right way when it comes to disposal. That “right way” means dropping it off at a certified recycling center. This is something that Junk King can be a big help with. Most of the centers have a small window of drop off opportunity during the week. Obviously, this is when your business is operating. It’s not very convenient to stop everything, load up your car with the e-waste and then drive around looking for the recycling center. When you turn it over to Junk King, you can rest assure it will be handled in the right way. Junk King moves fast and it comes to pickups. If you call early in the morning you might be able to lock in a pickup session later that day. At a minimum, Junk King could complete the pickup by the following day. When the crew does show up for the session, you’ll tell them what they need to do and then you can consider it done. You can alike how swiftly these teams operate. For fast office furniture removal and equipping clearing, Junk King Monterey is the only company to hire. This entry was posted in Monterey Junk Removal and tagged Junk King, Junk Removal, office furniture removal on March 31, 2019 by Junk King. Last updated March 31, 2019 . The idea that you would have to clear out an entire home worth of furnishings, appliances and other household goods can be overwhelming. However, that is the exact situation that faces any court appointed executor of an estate. Is that person’s responsibility to properly dispose of all the possessions either by selling them off, keeping them in the family or having them hauled away. After sorting through everything that is part of the state what is left will definitely be the things that need to be hauled away. That is a perfect job for Junk King Monterey. When you hire a moving company to relocate you and your possessions you are putting a lot of trust into that company to keep everything safe during the transportation and loading and unloading. Junk King operates with the same kind of dedication but instead of delivering your items to a new home they will be tagged for disposal. That doesn’t mean that Junk King won’t treat them responsibly. After all, a lot of the things you’re getting rid of could end up be repurposed by being dropped off at a charity. That is something that Junk King is proud to do with the majority of what it collects. Everything else could be recycled. The other reason that you can think of Junk King as quality movers is with their positive attitude. The Junk King crews are grateful that you’ve chosen then to help with your estate cleanup and rubbish removal. They want to make this process go as smooth as possible. That means working as quickly as possible. If there are a lot of items to be removed from the home, then Junk King might call in reinforcements. That could be additional crews and trucks. The goal is to get everything cleared out in a single session. Best of all, you won’t be paying for those extra cruiser trucks. You’ll still be paying the flat rate that is based on how the trucks get packed up. Less space to the Junk King team uses, the less you’ll be paying. If it is obvious that you’re going to be selling up the entire truck, then Junk King will definitely work with you to come up with a fair price. With Junk King Monterey on the job, your estate cleanup can be a smooth operation from start to finish. Book a session today. This entry was posted in Monterey Junk Removal and tagged estate cleanups, Junk King, Junk Removal on March 26, 2019 by Junk King. Last updated March 26, 2019 . Can you consider your home to be truly clean if there still rubbish hidden away in the garage your closets? Yes, you can tackle your spring cleaning chores early this year and make sure that every room is free of dust and dirt. However, there could still be a few things that are taking up space around your house that you know you’re never going to use again. Whether that is an old washer machine out in the garage or some clothing in the closet, there’s no reason for you to hold on that rubbish. If you really want to make spring cleaning count this year, then you need to set up a rubbish removal appointment with Junk King Monterey. The primary reason for hiring Junk King is to get rid of all those things that you couldn’t put out in the trash. That might actually cover a lot of items. When you take the time to sort through your closets, cabinets and drawers you’re sure to find a lot of little things that you could get rid of. But when you put them all together it becomes a huge pile of stuff. That can all be boxed up and put on to Junk King truck. What you would be left with an are a lot more storage areas in your home. Plus, removing those things will let you go for the deep clean. There could also be some bigger items that you been holding onto for no other reason than you simply don’t have the means to get them moved out of your home. Junk King will provide a moving team and a big truck. That is really all you would need to get rid of just about any object regardless of size or weight. The Junk King team can also help clear all the e-waste from your home like an old television or computer monitor. Those are things that shouldn’t be put in the trash under any circumstances. Junk King will strive to make sure those items dropped off at a certified recycling center. As for the rest of your items, they could end up at a local charity where they would be put to use once again. Spring cleaning will take on a whole new meaning when you hire Junk King Monterey to remove all the rubbish from your home. This entry was posted in Monterey Junk Removal and tagged Junk King, Junk Removal, spring cleaning on February 28, 2019 by Junk King. Last updated March 2, 2019 . How big is your e-waste collection? Any time you replaced an old DVD player with a Blu-Ray player, you’re left with the old machine. That is something you know you can’t toss out in the trash to it gets tucked away in a closet or out in the garage. Over the years, that stockpile of e-waste gets other things added to it like computer monitors, laptops, televisions, radios and cell phones. Which brings us back to the original question: How big is your e-waste collection? No matter the size, the best approach for responsible e-waste disposal would be to hire Junk King Monterey to haul it all away. When you turn your e-waste over to Junk King, that won’t be the final stop. Junk King doesn’t handle the actual dismantling of e-waste items but they can strive to get those items to the certified facilities that do handle all that dismantling. One of the first things that Junk King Monterey did when they set up operations in the area was to identify those recycling centers. They then become a part of their regular drop off routes. Of course, all of that work happens long after the crew from Junk King has picked up your e-waste. They wait until they have a full truckload of old electronics before making the trip to a recycling center drop off. That further helps reduce the carbon footprint of this kind of disposal. Your e-waste collection might not take up a lot of space on the back of the Junk King truck. That means there will plenty of room for other rubbish items that you want to get rid of. Just because you hire Junk King to get rid of your e-waste doesn’t mean you shouldn’t use them for other removal tasks. This is the perfect opportunity to clear out any piece of furniture that has seen better days. You can get a lot of clutter pulled out of your garage and that would free up all kinds of storage space. Start with taking care of e-waste disposal and end with a home that is totally free of rubbish. That can happen with one session from Junk King Monterey. This entry was posted in Monterey Junk Removal and tagged e-waste disposal, Junk King, Junk Removal on February 25, 2019 by Junk King. Last updated February 25, 2019 .
being in charge of an estate means you are really in charge of a lot of individual items. Each one of those items has to be ascribed with a value. Some of that value will be sentimental which makes those items priceless. Other values are what could they could be sold for on the open market. Then they would be everything else. Those would be the things that no one wants to buy or keep. Whatever amount of unwanted items you have left have to be part of the estate cleanup and that is where Junk King Monterey can be a big assistance. Unlike other so-called professional junk haulers, Junk King is never going to ask you to bring something to the curb. That defeats the purpose of hiring junk haulers. Wherever you have stuff you want to get rid of is where the team from Junk King is going to go. In some instances, you might have had furniture assembled in a room. Now that it’s time to get that piece removed it has to be taken apart. The Junk King crew to take care of that as well. These are movers who not only have a great attitude but there also great with solving problems. Another talent that the Junk King team processes is packing up the truck. You might not think all of your items could fit onto the truck. But you’ll be surprised at how they can stack and sort and pack everything in order to not only get it onto the truck but get it in as little space as possible. That’s going to be important for your bottom line. The junk King prices based on volume and not weight. You can see exactly what the range might be by using the online pricing estimate. But the final amount can be locked down until the crew has sized everything up. Quite often, the pricing estimate is higher than the number the Junk King is. They will always strive to be fair and affordable. When you need an estate cleanup taken care of, you need to hire Junk King Monterey. It can all happen in one removal session. This entry was posted in Monterey Junk Removal and tagged estate cleanup, Junk King, Junk Removal on January 31, 2019 by Junk King. Last updated January 31, 2019 . Would you ever consider spending the day at a landfill? If you’re a birdwatcher and the landfill is the Santa Cruz Resource Recovery Facility, then the answer might be, “yes.” That might come as a surprise to a lot of folks but this landfill has actually become a popular destination not only for birds but for the people who watch them. The reason is how environmentally friendly this particular landfill is. Each night after the days dumping of trash, that garbage is covered over with soil it is then treated with clay and recycled construction waste to seal it in. On top of that is another layer of soil and mulch where vegetation grows freely. This is what attracts the birds and the birdwatchers. It is conceivable that you might be standing on some garage you’ve thrown out! This is a very responsible way to handle garbage but the ultimate goal is that a place like this will become 100% bird sanctuary without any new garbage being poured in. That will take a lot of cooperation from homeowners and businesses all throughout Santa Cruz. There is one company that’s already helping with that. Junk King Monterey is a professional junk hauling service that has been dedicated to a responsible approach to junk removal ever since they began operations over 14 years ago. Junk King approaches every truck full of rubbish as an opportunity to recycle or donate. The crews that will be loading up your unwanted items have all been trained to spot those things that could be repurposed. You don’t have to designate something for recycling donation. It will be taken care of automatically. And it is not just furniture and appliances that would be part of this program. You can also have a lot of yard waste and construction materials like chunks of concrete or asphalt that can also be recycled. It’s just a matter of hiring the right company. If you’re looking for responsible junk removal, then look no further than Junk King Monterey. They’re helping to keep Santa Cruz clean one truck of junk at a time! This entry was posted in Monterey Junk Removal and tagged Junk King, Junk Removal, landfill, rubbish on January 25, 2019 by Junk King. Last updated January 25, 2019 . The day after Christmas has become a big day for shopping. It is actually rivaling Black Friday in terms of bargains to be had. Not only are there all kinds of returns happening on this day but there are people with gift cards who are eager to spend. In a way, it is like extending Christmas gift giving but the gifts are ones that you are getting strictly for yourself. Actually, there’s nothing wrong with that because certainly earned! After all the hard work you put into making the holidays a special time for everyone you deserve a treat. Of course, this still a little post Christmas cleanup work that has to be done. Decorations need to be put away and the Christmas tree needs to be disposed of. But you can go a bit deeper with that cleanup. This is where Junk King Monterey can be a big help. Are there more things that you’d like to get rid of besides torn up giftwrap and boxes? What are some of the things that you been holding onto throughout the year that are no longer being used by anyone in the house? These the kinds of things you should be giving to junk. You should know that just because you let Junk King haul something away doesn’t mean it will go to waste. There is still a demand for furniture, clothing and other household goods by charities. They may have had an influx of those types of things in the last couple of weeks but they will quickly run out of stock. All the things that you’re getting rid of can be dropped off at those organizations by Junk King as part of their junk removal package. This is really the best way to get rid of stuff! You can schedule your session with Junk King online or over the phone. You do like how fast they respond and take care of the job. They know that once you’ve made the decision to get rid of stuff that there’s no reason to keep you waiting. 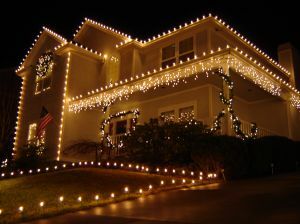 With help from Junk King Monterey, your post-Christmas cleanup is going to transform your home. That’s a great way to start the new year! This entry was posted in Monterey Junk Removal and tagged Junk Hauling, Junk King, post Christina on December 31, 2018 by Junk King. Last updated January 1, 2019 . How good are you at multitasking? Around the holidays it is a very essential and beneficial skill set to have. You need to take care of a lot of things simultaneously ordered get through the to do list. Once Christmas is over, it’s time to relax and enjoy the efforts you put in to making sure everyone had a great holiday. Of course, the work isn’t completely done until all the decorations come down after New Year’s. when that happens you have one less thing to do: take care of Christmas tree removal. But here is where your multitasking skills can come into play. Not only can you handle Christmas tree removal but you can also take care of getting all the unwanted junk removed from your home once and for all. Technically, you won’t have to do any of the work beyond calling Junk King Monterey. That call to Junk King will put a plan into action that will involve two movers coming out your home. This is the team that will easily carry out the Christmas tree and loaded onto the truck. You don’t have to bring it down to the curve. The same can be said for the rest of your unwanted things you want to get rid of. The Junk King team will pick up an old loveseat or recliner right from the spot. They can carry down boxes of clothing from upstairs or help you clear out the attic of any other unwanted rubbish. They can even do a quick sweep through the garage hauling away all the clutter that has accumulated there in the past year. Before everything gets loaded onto the truck, the crew is going to size up all the things you want to get rid of. This is how though estimate your fee. It will come down to how they pack everything up. They were to make sure everything gets pushed into his little space as possible and that includes the Christmas tree! That will allow you to be paying the low-end price scale. The question then becomes, just what you want to get rid of? Knowing you have two movers and that weight in size isn’t an object, pretty much anything can go! 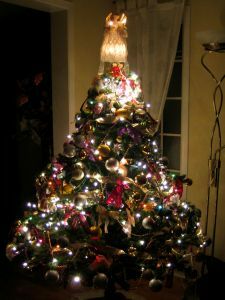 You can take care of your Christmas tree removal and junk hauling with one call as long as that call is to Junk King Monterey. This entry was posted in Monterey Junk Removal and tagged Christmas tree removal, Junk Hauling, Junk King, Junk Removal on December 24, 2018 by Junk King. Last updated December 24, 2018 . The hunt for the most awesome gift of the Christmas season is on! Will you be the one that finds that special present which can totally transform the holiday season for a loved one? It can be a small gesture or big gesture but it needs to be something that is part unexpected and part the exact thing somebody needed. Believe it or not, a junk removal session with Junk King Monterey might fall into that awesome gift category. Thinking about getting rid of junk really might not be a priority at this time of the year. However, if someone has a lot of unwanted furniture and other rubbish types of items accumulating in their home, then providing them with help to get rid of that all is going to improve their living space. We all know how great it feels to come home after the house is been cleaned. Now imagine being able to come home and not having to see that ratty sofa or that giant tube television set that is just sitting in the corner collecting dust. These are the kinds of things that the crew from Junk King will be able to swiftly remove from any home or apartment. The Junk King team consist of a pair of dedicated movers who have a lot of experience lifting and loading all kinds of objects. You can literally see the relief on people’s faces when they watched the Junk King squad carryout something they couldn’t possibly carry out on their own. That includes any item that is upstairs or out in the garage. The Junk King team goes to where the junk is, you never bring the junk to them! You can set up your Junk King gift on the day that best suits the recipient. That can be during the week or on the weekend. It can be early in the morning or later in the evening. All that Junk King asks is to set aside a two-hour window that allows them travel time between locations. Once they get to the destination, you’re going to be pleased at how swiftly these crews can load up their truck. 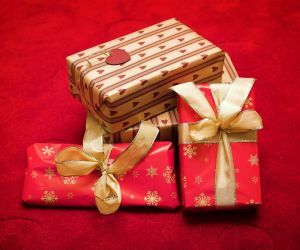 If you want to give an awesome gift to someone special this Christmas, then consider a junk removal session with Junk King Monterey. It might just be the perfect present! This entry was posted in Monterey Junk Removal and tagged gift, holiday, Junk King, Junk Removal on November 30, 2018 by Junk King. Last updated December 2, 2018 . The good news is that the wildfires that swept through California in the last couple of weeks are being contained. The bad news is that the lingering devastation of these wildfires will last for several more months if not years. The most immediate danger in the Monterey Bay area is the air quality. Smoke coming from the Camp Fire in Butte County could be lingering throughout the area for several days to come. Officials are expected to rate the actual air quality to be moderate to unhealthy. That’s especially true for areas in valleys and basins. The hope is that rain in the forecast can dissipate some of the smoke. But as anyone who lives in California knows you can’t count on the rain. Recent outdoor events like the Monterey Bay half marathon and various other sporting activities have been canceled because of the poor air quality. When the air quality index has reached “moderate” levels it means that the air is acceptable but some pollutants might still be a health concern for small number of people especially those who have sensitive respiratory ailments. Older adults and children are at greater risk when there are particulates in the air. When a “unhealthy” level is found nearly everyone can experience adverse health effects with those in the sensitive groups being greater impacted. The best course of action in bad air quality situations is to remain indoors with Windows shut. You also should minimize any physical activity and that includes dusting and vacuuming. If you do need to venture outside, then wearing a respirator mask is in a bad idea. Those are the kinds of things that you should have around your house just in case. During the height of the wildfires those masks were selling out everywhere across Monterey. It is a good habit to get into to check air quality levels in the morning before you head out for your day. This entry was posted in Monterey Junk Removal and tagged air quality, wildfires on November 24, 2018 by Junk King. Last updated November 24, 2018 .